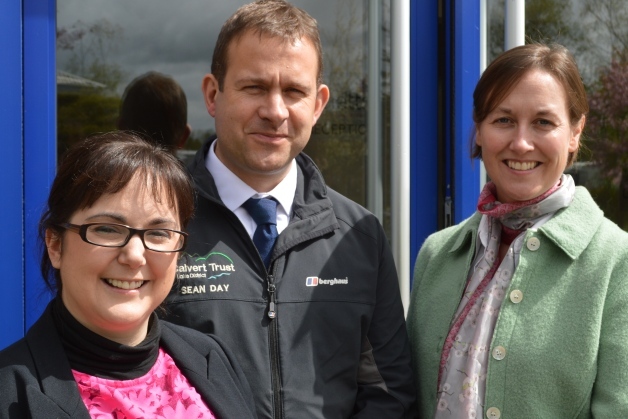 Burnetts has chosen The Lake District Calvert Trust as its very first Charity of the Year. The Cumbrian law firm, which has offices in Carlisle, Penrith and West Cumbria, selected the charity following a vote by staff and partners, having asked staff for suggestions of the charities they would most like to support. The Lake District Calvert Trust is a residential outdoor centre with over 35 years’ experience delivering challenging outdoor adventure holidays for people with disabilities. Burnetts will be supporting the charity until April 2016, with its first target being to raise £2,100 to kick-start the renovation of Bowderstone Bothy, a building adjoining the charity’s accessible abseil site near Bassenthwaite. The Trust is planning to turn the bothy into a fully accessible venue for disabled visitors but needs funds to get the project up and running. Burnetts will be adding to the charity’s coffers through a range of fund-raising activities including dress-down days, selling balloon models from its stand at the Cumberland Show, staff social events and challenges such as the Great North Run. The team will also be providing practical support on a volunteer maintenance day and through the provision of free legal advice.